Haulotte have completed the delivery of over 400 machines for Coates Hire valued at over $7 million. 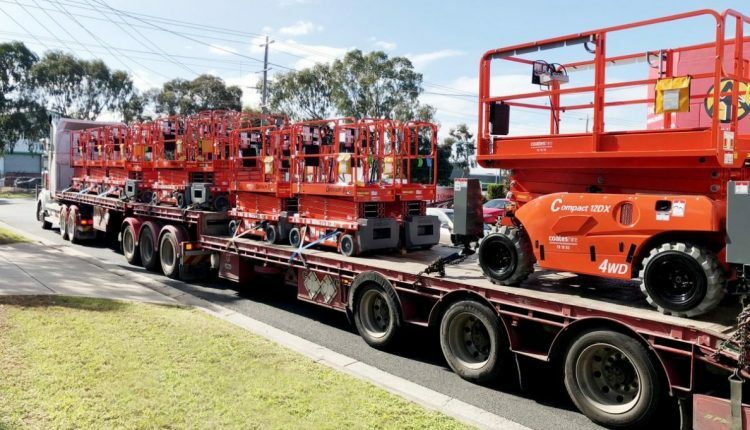 The machines, including 350 Optimum 8AC, and 36 Compact DX scissor lifts, as well as 20 HA16 RTJ PRO articulating booms will be used across Australia to fulfil Coates Hire rental requirements for the near term. “2017 was a great year for us, but 2018 has exceeded all expectations following this large order of some of our best and most popular models. The Optimum 8AC is class leading and fast becoming one of Australia’s most popular scissor lifts thanks to its fast operation speeds and compact design. The HA 16 is a versatile boom with industry leading working envelope and outreach of 8.3m” said Keith Clarke, General Manager Haulotte Australia. For Coates Hire the order is part of a growth strategy to meet strong rental demands seen across the east coast and to refresh the access fleet “Haulotte was able to offer products that meet our strategic and commercial needs. We were impressed with the level of service and support that they offered as well as the innovative features like ACTIV’Screen which will make technical support even easier, said Dan Goodfellow, Category Manager for Coates Hire. “The onboard diagnostics tool ACTIV’Screen will offer Coates Hire 3x faster fault finding capabilities thanks to the machine sensors and digital readouts which can result in less call outs for personnel and downtime of a machine” adds Mr Clarke. ACTIV’Screen is just one of several recent technology developments and features of Haulotte’s latest machines. Other innovations include safety improvements for users with ACTIV’Shield bar, which protects operators from potential crushing situations and ACTIV’Lighting system which lights up the machine and the area around it for safe loading and unloading from trucks at night. Damien Gautier, Haulotte Managing Director of Asia, Pacific and Middle East region is pleased to see Coates Hire is looking to Haulotte for their EWP fleet. “Australia is one of our fastest growing markets, and the local team is expanding to meet this new growth as well as the parts and services support expected by our customers. In addition to our major service and repairs facility in Dandenong, we have developed our spare parts capabilities and placed more focus on training programs and technical support offered,” said Mr Gautier.